Retail innovation took many different forms in 2018. 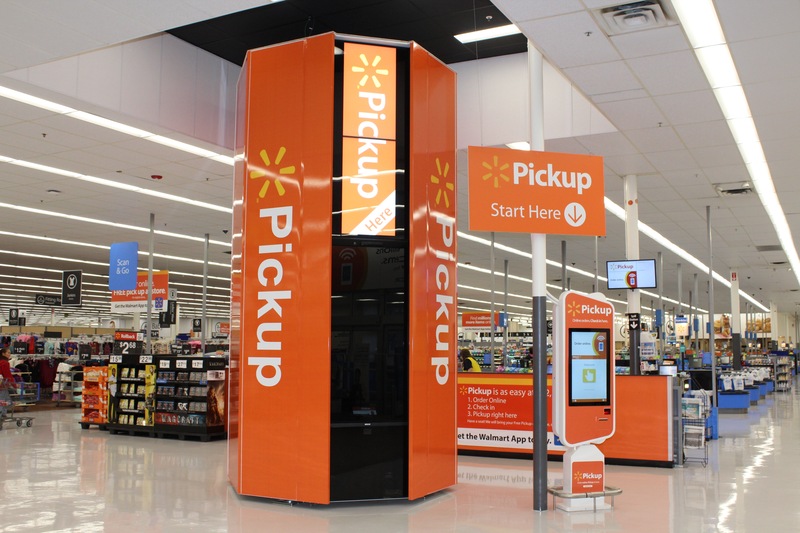 Virtual reality, automated assistants and convenient handheld apps all showed up in Walmart stores across the country to deliver on a promise: Make shopping and working at Walmart easier for customers and associates alike. So, what did that look like throughout the year? Here’s a look at the technology powering a better, faster experience for all. From moms to college students, everyone who uses grocery pickup loves the way it combines the convenience of online shopping with the ease of never leaving the car. The best part? It’s all at no additional cost. Currently more than 2,146 stores offer grocery pickup, with more coming in 2019. We also launched a new grocery delivery service to more than 35 cities across the country, partnering with third-party delivery teams to bring online orders right to customers’ doorsteps. Simply build a basket at Walmart.com/grocery or via our mobile app, choose a convenient pickup or delivery location, and let our team do the rest. I use Walmart’s online grocery pickup every week and it has been a game changer for my shopping experience. Not only is it convenient, but my local store has the best associates picking out my groceries and produce. I refer the Walmart online grocery pickup to everybody I know – young, old, families, individuals. My only wish is that it had been around when my kids were younger! In less than a minute, 16-foot Walmart Pickup Towers deliver millions of items from Walmart.com to your local Walmart store (without the cost of shipping). Basically, it’s a high-tech vending machine. 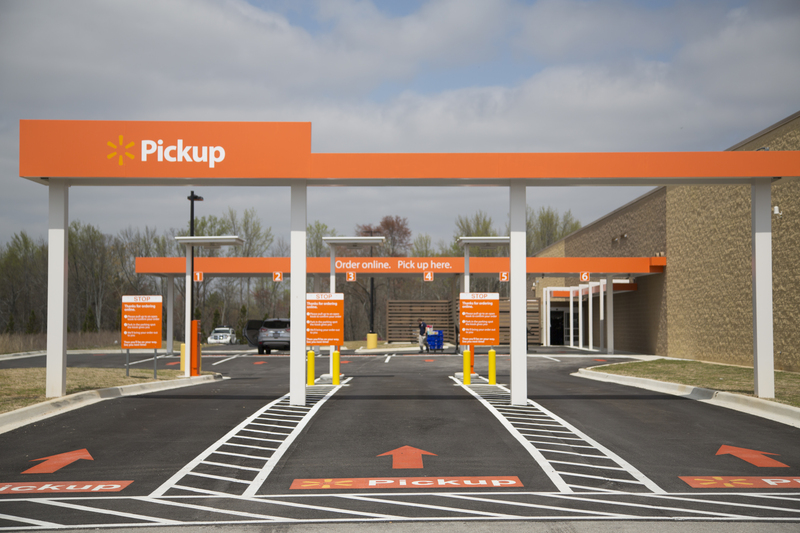 With more than 1,211 stores equipped with a Pickup Tower – and more coming in 2019 – it’s a fun, fast new way to shop for customers all over the U.S.
Who doesn’t love skipping a line? Now across the nation, our new Check Out With Me service allows our customers to do just that. Outfitted with cellular devices and Bluetooth printers, associates complete the checkout process from anywhere on the sales floor, and provide a receipt via print, text or email. You’ll never leave a store without getting what you need thanks to the Dotcom Store App. Using their handheld devices, this technology gives associates the power to help customers shop Walmart.com if the item they’re looking for is out of stock. Customers can pay at any register in-store using any payment method they want (cash, check, credit/debit and Walmart Pay). This first-of-its-kind technology being installed in our Salem, New Hampshire store was designed and created especially for Walmart. By automating key pieces of the Grocery Pickup process, it helps associates prep online orders even faster by using autonomous mobile carts to deliver the items they need from storage to organize, assemble and deliver the order to the customer‘s vehicle. 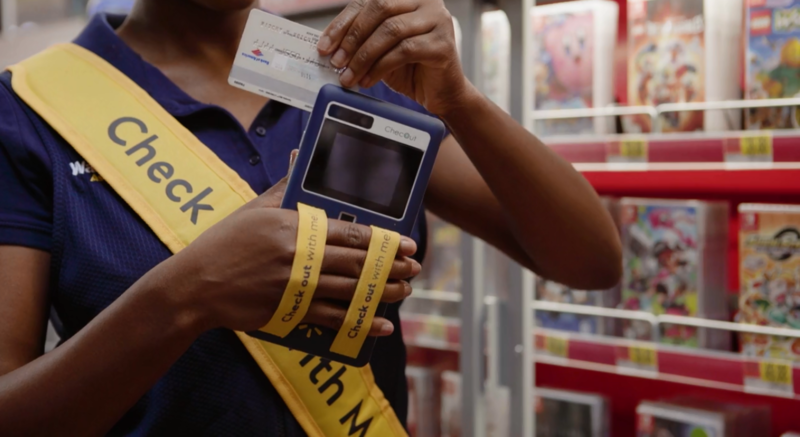 In 47 stores across the U.S., automated shelf scanners are giving associates more time to focus on serving their customers. 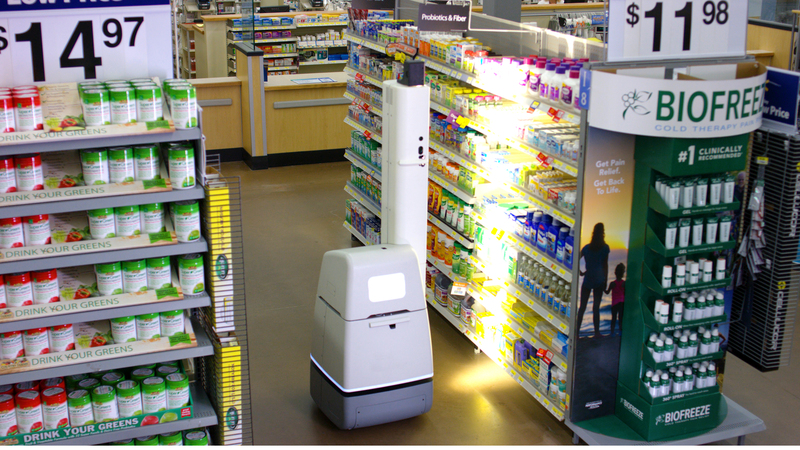 They’re programmed to help identify where in-stock levels are low, prices are wrong or labels are missing – which in turn provides associates with a real-time view of store inventory, helping them quickly identify the areas of the store that need the most attention. Information is power, and thanks to our new suite of handheld apps, we’ve been able to place critical information directly into the hands of associates helping customers every day. 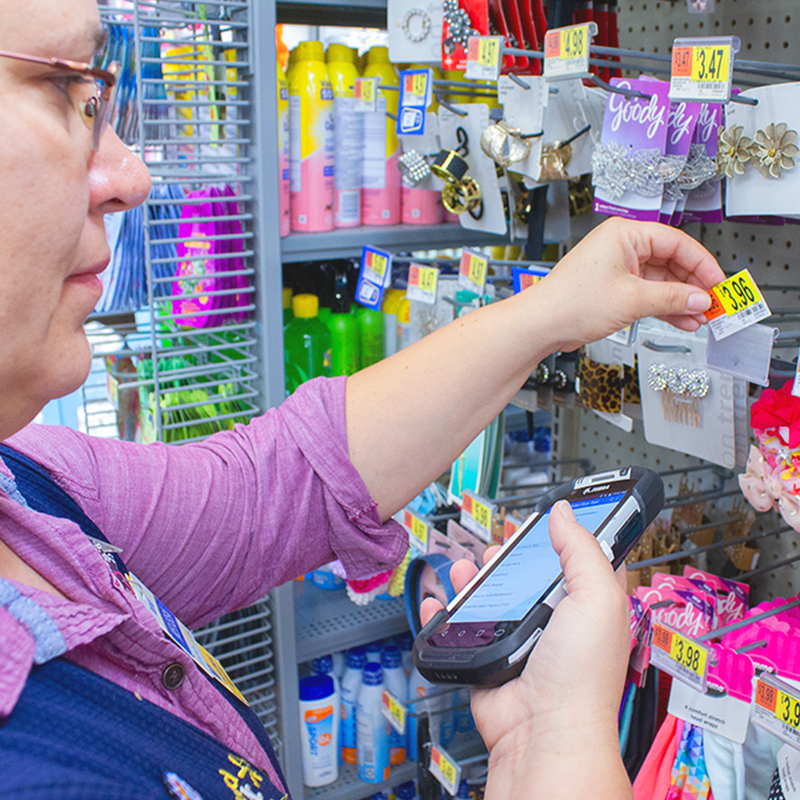 Whether they’re using store data to make efficient updates through the Price Change App or checking the availability of a customer’s item through the Availability App, associates now have new tools that enable them to do the best job possible, right in their pockets. Two years ago, virtual reality technology transformed the way associates in our Walmart Academies trained for new jobs. 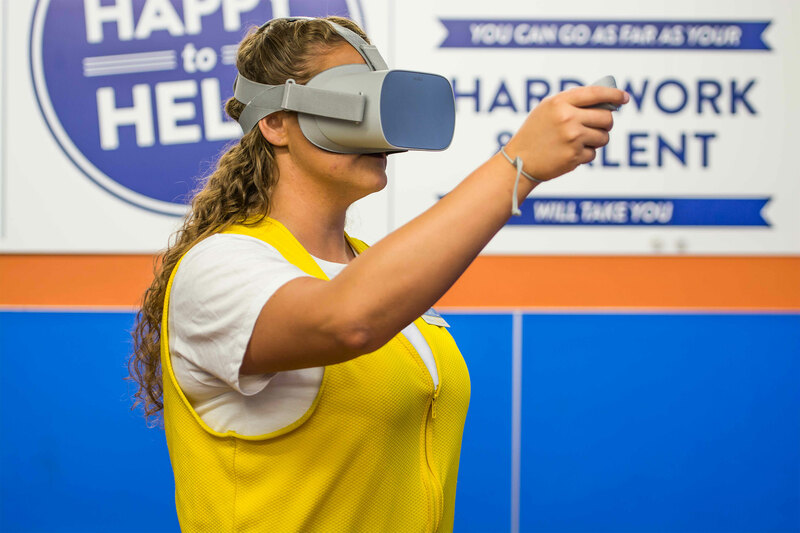 In 2018, we were excited to announce that associates in every Walmart store in the country will have access to training via immersive, virtual reality technology by the end of the fiscal year. Virtual reality is such a unique way to learn in a very hands-on environment. Our associates are actually experiencing certain situations that are difficult to replicate in the store. It helps us learn how to use new technology, anticipate customer needs and do our jobs better. The Walmart app now features a store map uniquely created for each Walmart store, helping customers quickly and easily find everything from the hottest toys to every day essentials. Just open the app in store or at home and search for the item — the map will show the item’s exact location, and new in-store signing helps customers quickly orient themselves within the store. 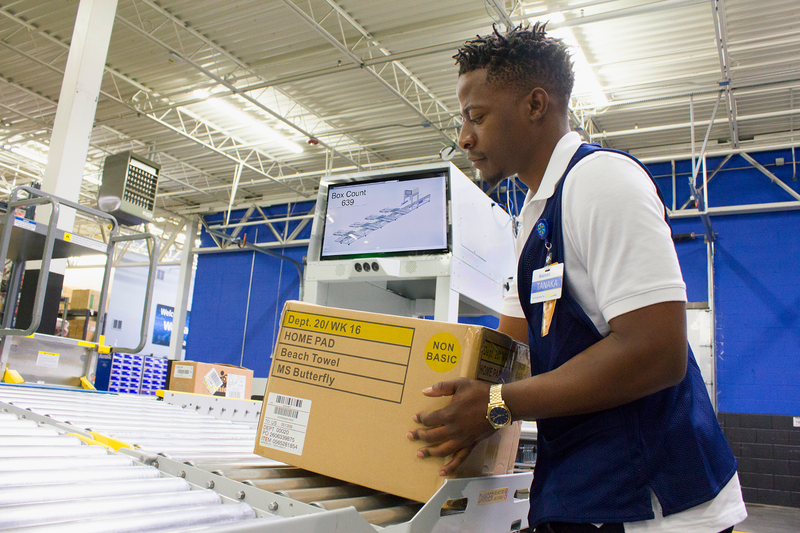 Customers returning items sold by third-party sellers on Walmart.com can now drop off what they want to return at Walmart instead of having to coordinate directly with the seller. All they have to do is package the product they would like to return at home and bring it to the store where an associate will help print the return label and send the item back to the seller. The process of unloading products as they arrive in stores has seen little innovation over the last 20 years – until now. The FAST system we’re testing in 300 locations automatically scans and sorts items off our trucks based on priority and department. This means associates spend less time unloading in the back room and more time on the sales floor with our customers.